From climate change and biodiversity loss, to plastic pollution in our oceans, lakes and rivers, Canada’s marine resources are facing some serious environmental challenges. But with this comes opportunities for students, who can help find real solutions to these challenges and become leaders of our institutions and businesses. Today, on UN International Day of Women and Girls in Science, the Minister of Fisheries, Oceans and the Canadian Coast Guard, the Honourable Jonathan Wilkinson, launched his #OceansCampus Tour to discuss the health of our oceans, biodiversity loss, innovative economic opportunities and the important role that science plays in the development of public policy with students in British Columbia across the country. This goes in line with this year’s theme of the UN day: Investment in Women and Girls in Science for Inclusive Green Growth. 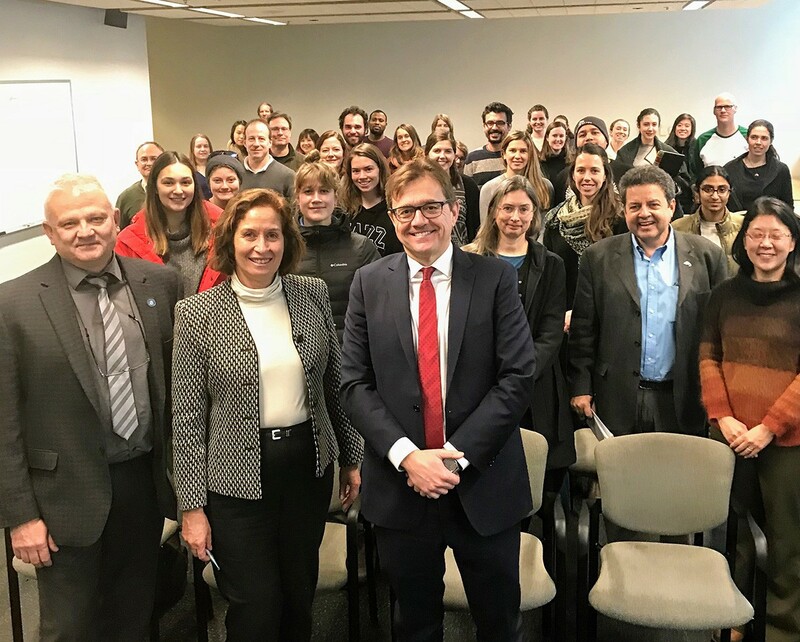 At the student town hall he participated in at the University of British Columbia, Minister Wilkinson spoke, among other things, about the United Nations Decade of Ocean Science for Sustainable Development, which support efforts to reverse the decline in ocean health, as well as the importance of women and girls in science.